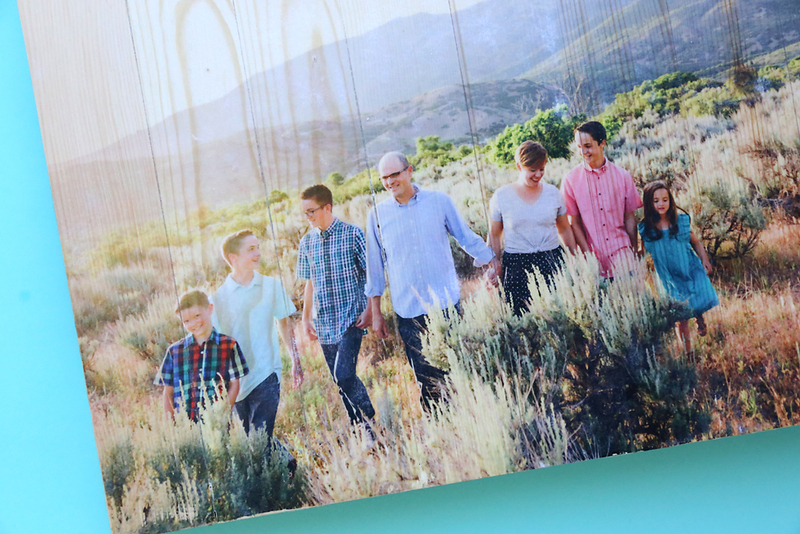 In today’s post: Learn THE BEST (and fastest) way to do a mod podge photo transfer and put one of your favorite pictures on a wood pallet! 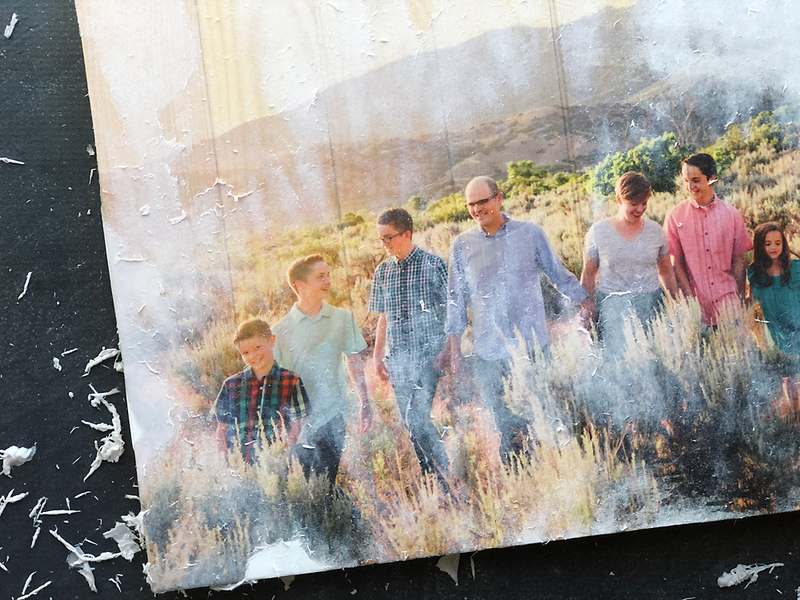 Chances are you’ve seen tutorials that show you how to use Mod Podge to transfer a photo onto wood before. And maybe you’ve even tried it. If you have, you realized that it’s a bit of a fiddly process – it’s not the fastest thing in the world and it’s pretty easy to mess up, and maybe you were even frustrated enough that you gave up. Or maybe you decided not to try it at all because it looked like too much work. Well, I’m a little obsessed with transferring photos to different surfaces and figuring out which methods work best. 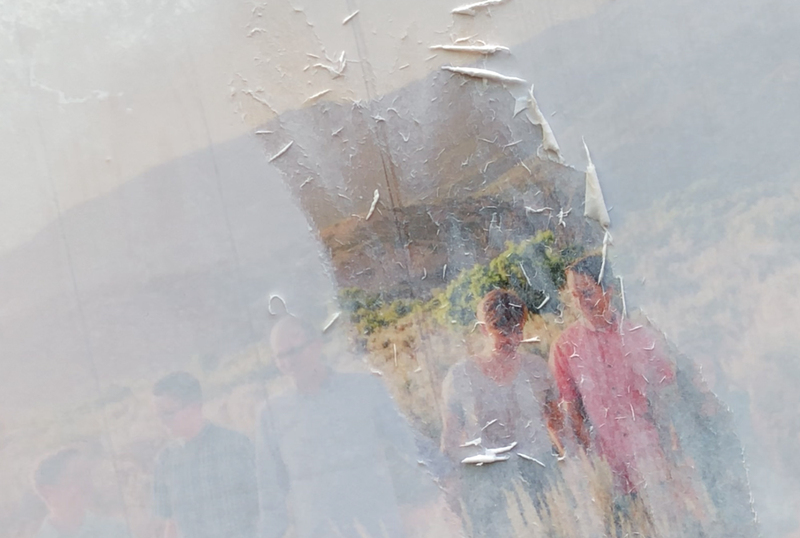 And I’ve had a breakthrough when it comes to the mod podge photo transfer that makes it faster, easier, and just about foolproof! 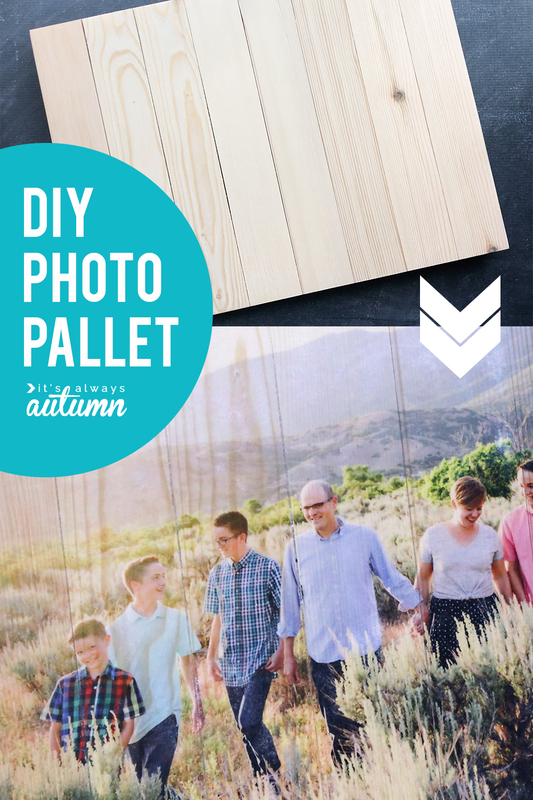 Here’s the main idea: you start with a color copy of your photo and a wood plank or pallet. 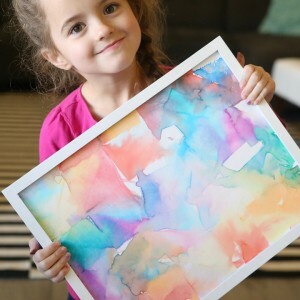 Paint the wood with mod podge, place the color copy down on it, and let it dry. Then get the paper wet and rub it off, leaving the ink behind. 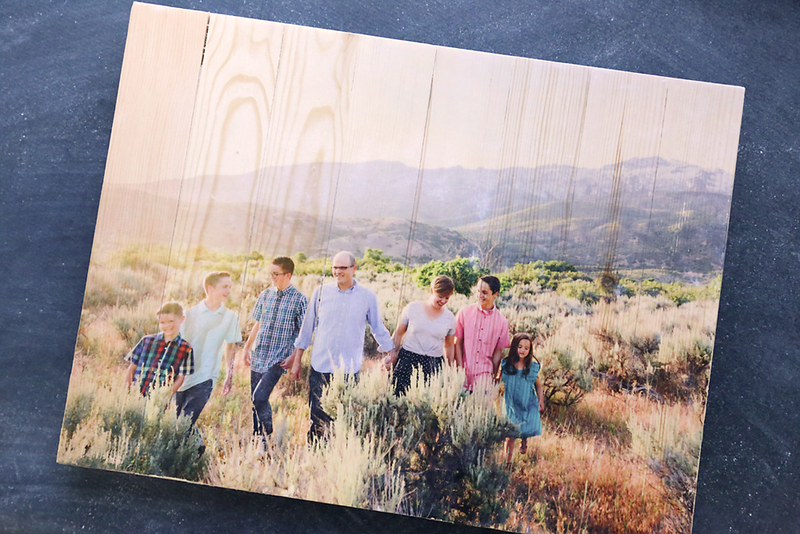 Your photo is magically transferred onto wood with the pretty wood grain showing through. So cool! The end result really is pretty cool, but there are a few problems: as you’re rubbing off the paper you have to be very careful to make sure you don’t also rub off the ink. That means you have to go slowly and carefully, and hope you don’t rub anyone’s head right out of the project, because that will ruin the entire thing. What I’ve discovered recently, however, is that if you let the photo dry on the wood for a full 72 hours, the ink transfer is much more permanent. That means when you start rubbing the paper fibers off you can go much faster without risk of damaging the project. It ends up being easier and faster. I was able to remove all the paper from this large 12×16 inch wood pallet in about 45 minutes, which is just one episode of whatever show I happen to be binge watching. Not too bad for how pretty it turns out! 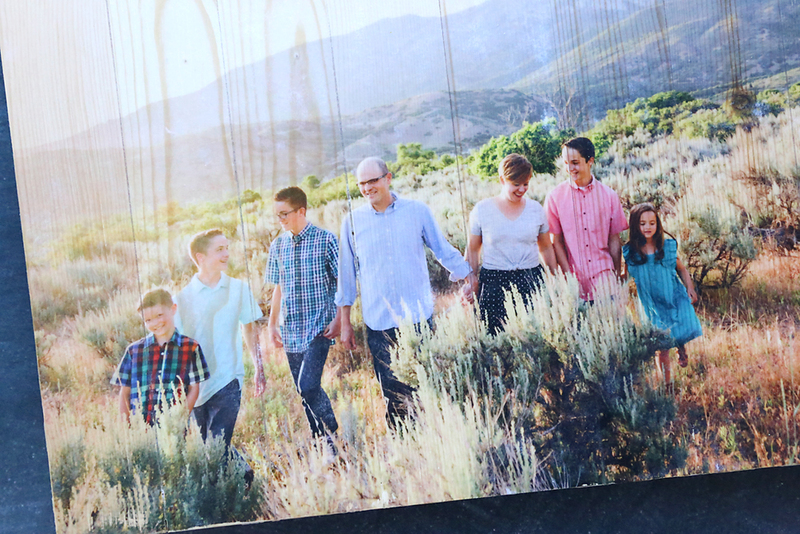 Keep reading for the best way to do a mod podge photo transfer. 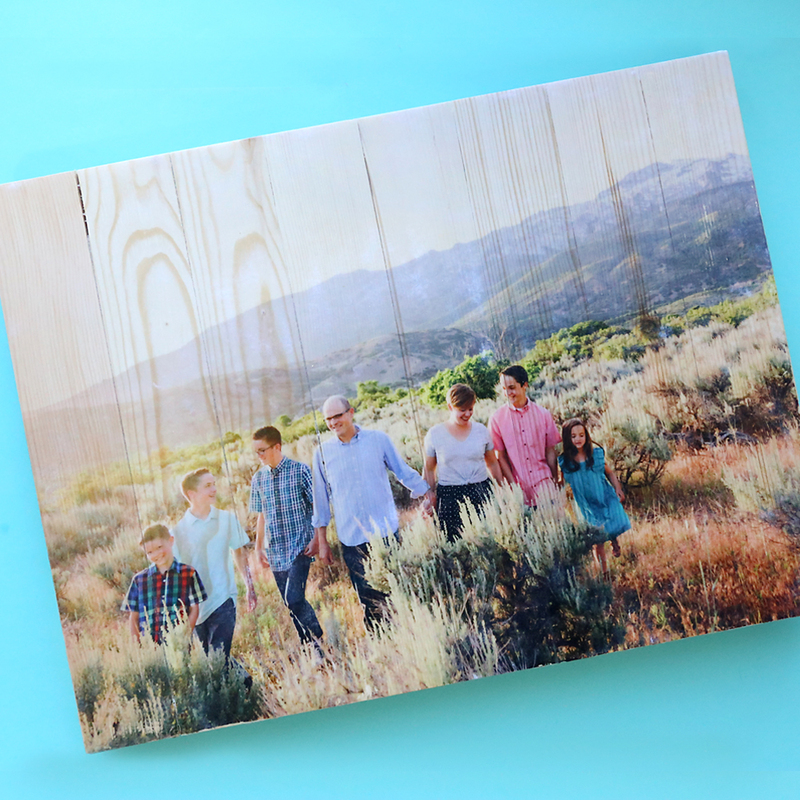 First you will need a piece of wood to transfer your photo onto. 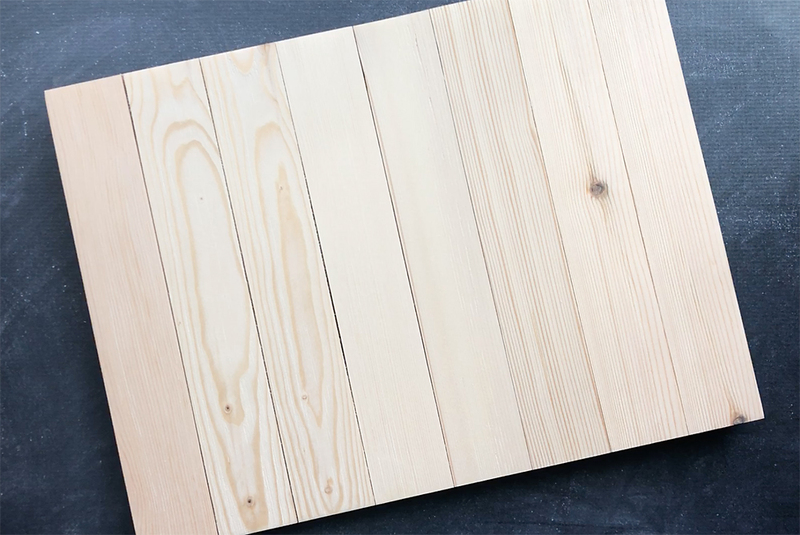 You can use a plain piece of wood, or a piece that looks like a pallet. I found this 12×16 inch wood pallet at Walmart. Sand it until it’s nice and smooth, then wipe off any dust. printed out at the size of your wood piece (mine is 12×16). The copy shop should be able to do all of that for you. Some wood photo transfer techniques use gesso or another type of photo medium, but I just use Mod Podge matte. 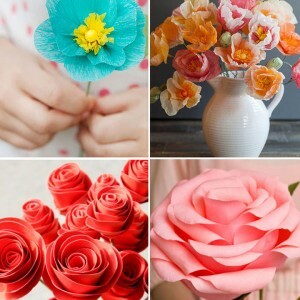 It’s easy to find in any craft store and most big box stores. 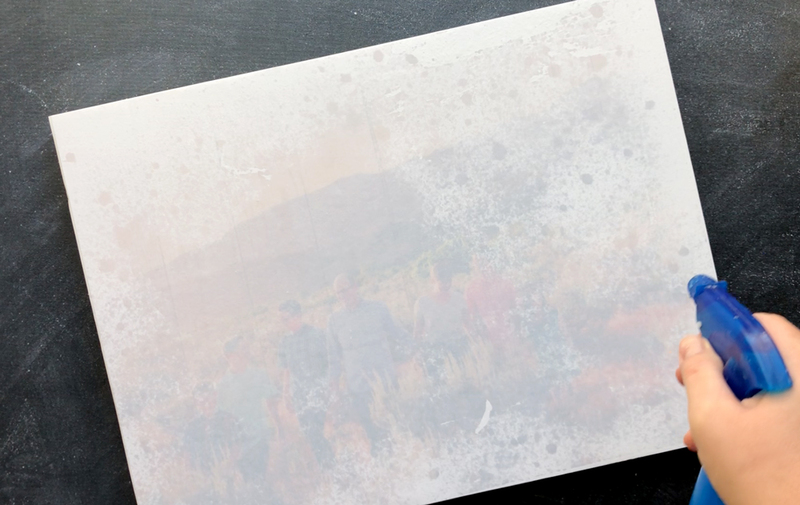 NOTE: there is a Mod Podge made specifically for photo transfers, but I prefer NOT to use it. 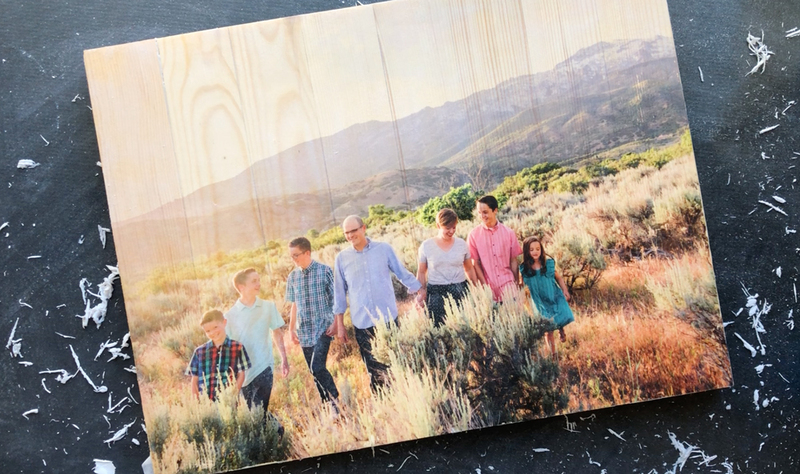 The photo transfer mod podge will transfer the whites in your photo, whereas using normal mod podge turns the whites in your photo clear, allowing the wood grain to show through. 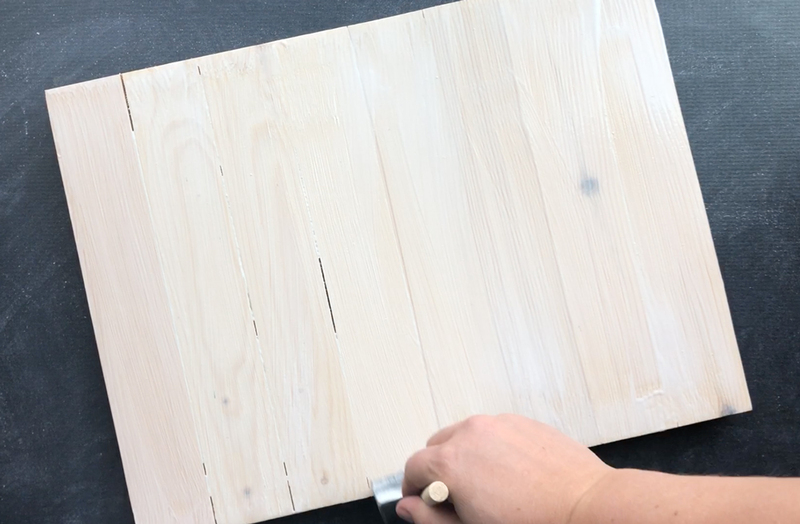 Begin your mod podge photo transfer by painting an even layer of mod podge on your wood pallet. I used a cheap foam brush to do this. 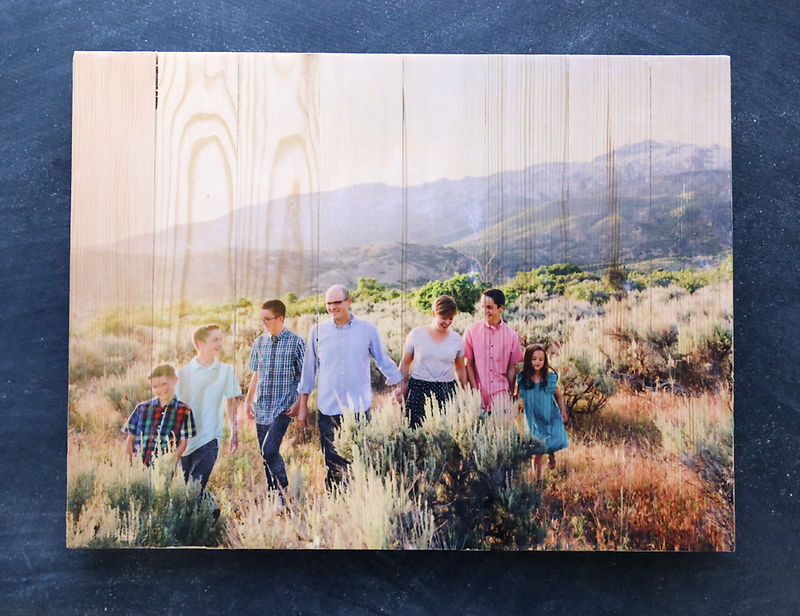 Immediate place your print photo side down on the wood pallet. Use a credit card to smooth the paper down, wiping off any excess mod podge that squeezes out the sides. Ok, here’s the important part: Leave the piece to dry for 72 hours. Most photo to wood transfers recommend waiting 8-24 hours at this point, but the next step is much easier if you wait three full days! 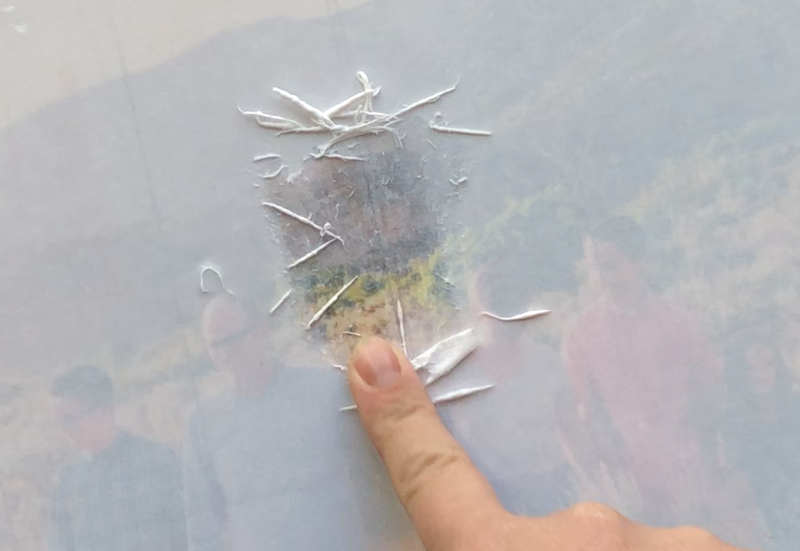 After 72 hours, you can start removing the paper to reveal the mod podge photo transfer. This does take a bit of time; for this large 12×16 inch piece the paper removal took me about 45 minutes. Smaller pieces will take less time. Begin by spraying the piece with water. As it gets wet, you will be able to see the picture through the paper. Start rubbing the paper with your finger or a damp towel. The paper fibers will begin to roll up and you’ll be able to peel them off. 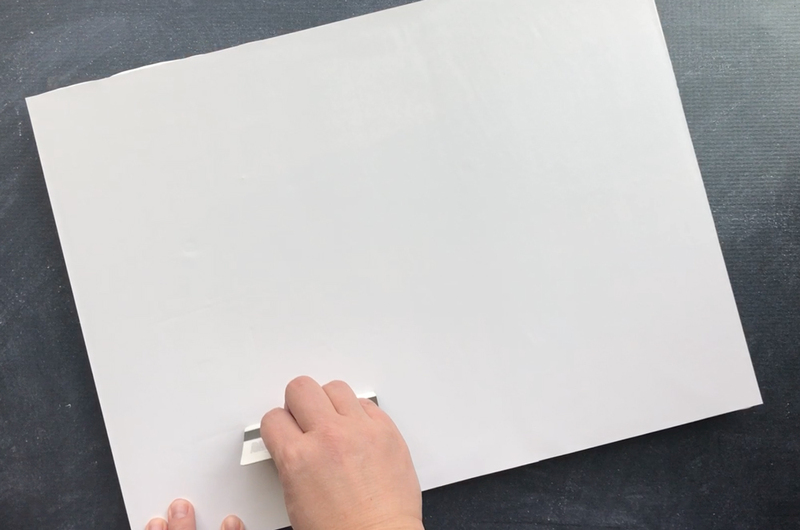 Continue to rub and peel off paper. 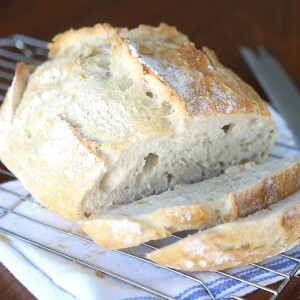 As the paper dries, you’ll need to spray it again and keep rubbing off fibers. As you rub off paper, you’ll see more and more of the photo. But as the photo dries it will get hazy again, showing you where there are still more paper fibers. Spray them again, and rub them off. You’ll have to repeat this process 3-4 times. If you’d like to see a video that shows this process, click through to this post. If you did not let your project dry for 72 hours, you run the risk of rubbing the ink off during this process, and have to be very careful not to do so. But letting it dry for a full 72 hours makes the ink transfer fairly permanent and so you can get all the paper fibers off more quickly. Just pay attention to what you are doing, though, because I cannot guarantee none of the ink will come off if you are rubbing really hard. So just be careful and continue the process until all the paper fibers are gone. It’s so much fun to see the photo transfer appear! As a final step once all the paper fibers are removed, paint over the piece one more time with Mod Podge to seal it. Then it’s ready to display! Join your group and never miss another good idea 😃. 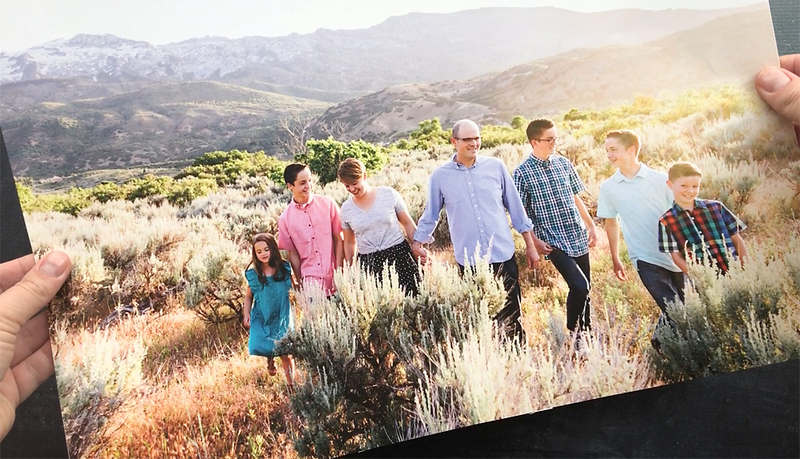 How can you transfer photos using ink jet printer. Would it still work. No, it must be a laser print. Would this work if you stained the wood first? Yes but use normal ptinting paper and carefully place on glued wood leaving it for 72hours. Not 24 hours. That’s s cool! Would this work with text rather than a photo? 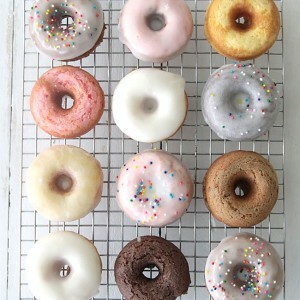 Can I do this method with a photograph? You make things way too complicated. I did his in the 70’s with a loved one’s pic. I put it on a Reader’s digest book that had been been painted on the edges with gold and looked real pretty all laid out! 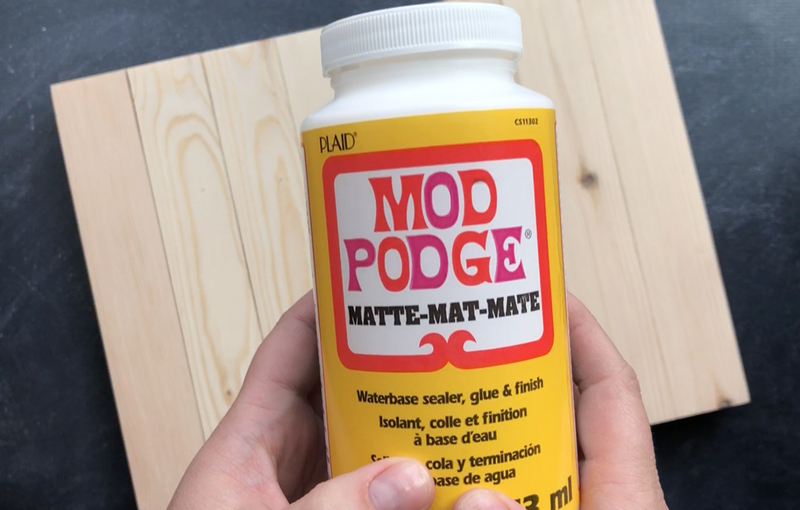 One thing is that anything will stick to mod podge unless you. Put a coat of clear spray of something on it. I know cuzz I tried wrapping my project in newspaper when I was moving and the newspaper stuck to it and reuined it completely. Good idea but can I do the same thing on fabric? Thank you. Does it matter what type, quality or thickness of wood that you use in this project? DO NOT TRY!!!! I followed directions exactly as stated and sooo much of my picture wore off, I had to throw out my whole project. Don’t waste your time or money!! Awesome article. Keep it up. Like the image and the process of beautiful services or Free trial . Thanks keep it up ..
Can I use glossy mod podge as a transfer medium or must it be matte? Can you do this with a black and white picture?